Oh, the loofah. You know it can harbor germs and yet...it’s still hanging in your shower. Hey, we get it. Something about that fluffy pouf and how it magically lathers body wash while gently exfoliating is hard to let go of. It looks luxurious, it feels luxurious, ergo it must be luxurious. Plus, most of us started using loofahs as teens and pre-teens. Whether we were getting ready for prom, crying in the shower over a breakup, or singing Destiny’s Child at the top of our lungs, our loofahs were there for us, germs or not. They were our first experiences in the pampering pursuit. 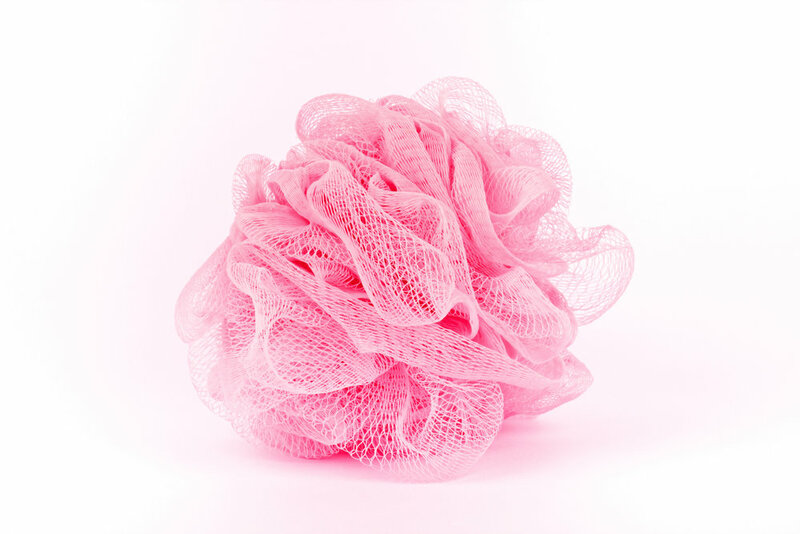 Rinse your loofah thoroughly with HOT water and wring it out tightly. Then hang in a well-ventilated area to dry (the inside of your shower won’t cut it—the bathroom door knob is a better option). Deep clean your loofah in a disinfecting solution of hydrogen peroxide (it’s gentler than bleach) and water. You’ll need 1 part hydrogen peroxide to 2 parts warm water. Mix in a bucket or large bowl and completely submerge your loofah for at least 10 minutes. Then rinse and hang in a well-ventilated area to dry. Don’t have any hydrogen peroxide? You can also toss your loofah in the washing machine. Look for a setting with HOT water, like one you would use for bath towels or white clothes. Then hang your loofah to dry—don’t put it in the dryer. Buy a new loofah (it’s probably looking a little haggard by now anyway). When you replace your loofah on a regular basis you’re helping protect your skin and keeping it looking healthy. Try using a naturally-based body polish like You Apricaught Me!™ or Buff Around the Edges™ with your loofah for an extra indulgent shower. Want to score a free shower pouf? The Mother's Day bundle, featuring All About That Vase™ Petal Body Polish and All About That Vase™ Hydrating Body Serum comes with a Posh pink loofah and makes the perfect gift for mom—or yourself! Need more Mother's Day pampering ideas? We've got you covered.